Fontina and thyme, a marriage made in heaven. In 10-inch skillet, melt butter over medium heat. Using whisk, stir in flour, salt and onion. Cook 2 to 3 minutes, or until mixture smells nutty and is lightly golden, stirring constantly with whisk. Add milk. Continue to beat with whisk, scraping bottom of skillet until mixture heats to boiling. Mixture will thicken. Remove from heat; add cheese and thyme. Stir with whisk until smooth. Stir in drained macaroni. Serve with additional thyme if desired. 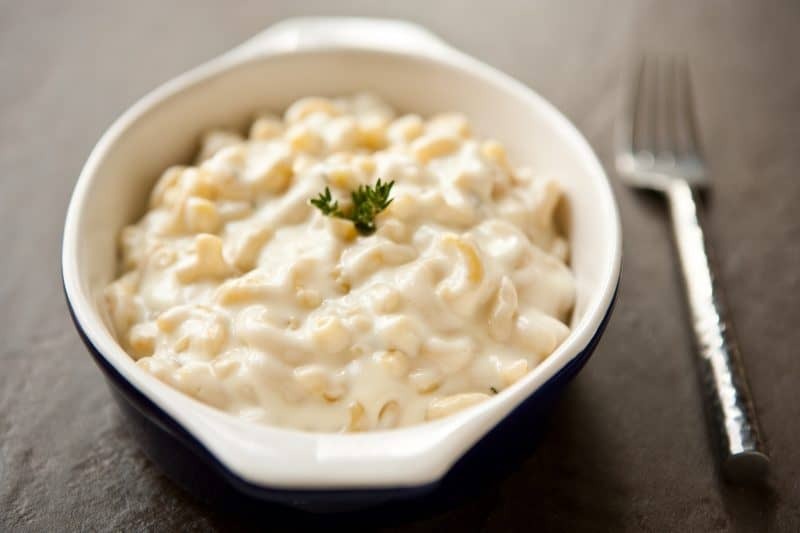 Beautiful grown-up mac and cheese!